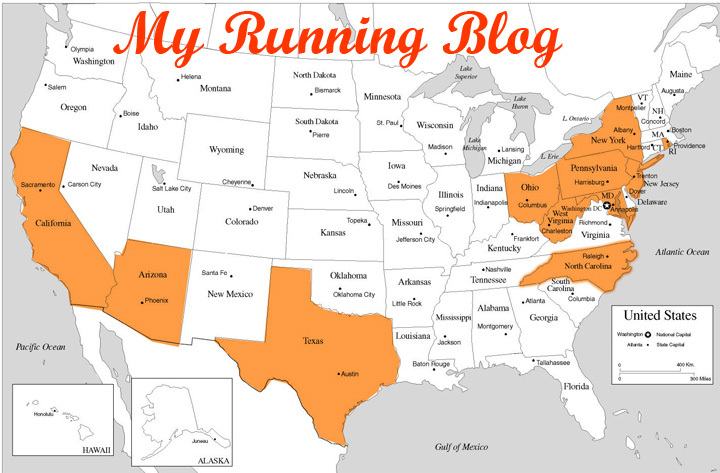 MY RUNNING BLOG: First Track Workout. In my previous blog, I took Arturo’s advices and plan a workout on track. Last night was the night. Yesterday I got to work at 0700, so that I could leave early as well. I drank liquid (coffee, tea, & water) all day long like fish in tank, since I knew that will be hot like South Texas by the time I start my workout. Roll around to 1730, I finally get my rear out of office and head up to Montgomery College Track. When I arrived there at 1900, people already warm up and about to start their workout; so I end up doing the workout on my own. I created a little spreadsheet below that with planned workout plan and the actual executed splits. I think I had a pretty good workout last night, but I have a lot of work need to do in order to run 2h’55m” marathon. I also need to keep my weight down to 145lb by Akron marathon and 140lb by Tucson marathon. I think I’ll be able to do that. I woke up with sore calves and hammy. So I didn't run this morning, but going to run forty easy minutes on ball field later on this evening. I'll rest up tomorrow and a travel day. I am taking my running shoes with me and plan on run 19 miler in the sub-70s weather. That should be fun.